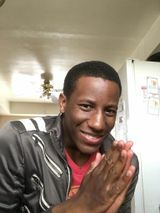 Zenyou is an SSB4 Mario main with strong Sheik and Fox secondaries from Porter Ranch, California, considered one of the best Mario players in the world, behind Ally and ANTi. He is renowned for his potent combo and punish game, considered the most extensive and developed among Mario players. Zenyou is currently ranked 4th on the SoCal Smash 4 All-Time Power Rankings and 61st on the Panda Global Rankings 100. He has taken sets off of top players such as Nairo, Mr.R, VoiD, Samsora, Fatality, Abadango, Larry Lurr, Elegant, Lima, falln, ESAM, Kameme, MVD, and Ally. His breakout performance was at The Big House 5, where he qualified for Top 32 Winners, before losing to Nairo. In Losers, he defeated Shel, Fatality, and Seagull Joe, before succumbing to ZeRo, ending his run at 7th. Later, he would push ZeRo to the brink at 2GGC: GENESIS Saga, taking him to last game, last stock situation. Zenyou's playstyle is highly regarded for his punishing combo game, making extensive usage of Mario's tilts to begin and extend combos, and for his ability to reliably follow up into kill confirms. This page was last edited on March 3, 2019, at 20:42.